The artist said he'd like to have the gotten paid, but he's cool with it. On Wednesday, Jay Z & Beyonce made headlines after they gave a speech at the Brit Awards while standing in front of a Meghan Markle painting. 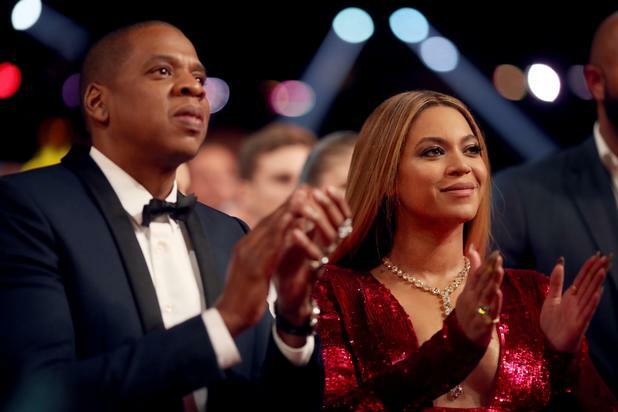 The power couple said they chose the painting of Meghan in honor of Black History Month, and later Beyonce congratulated on her pregnancy on IG. "In honor of Black History Month, we bow down to one of our Melanated Monas," Beyonce wrote. "Congrats on your pregnancy! We wish you so much joy." Well thanks to the power of the Carters, the painting has received a ton of publicity ever since, and the man responsible for it is getting nothing for it. Tim O'Brien tells TMZ that he was shocked and honored to see his artwork behind the Carters, but he would have liked to receive some compensation. "It would be nice to profit someway, but that's not what this is about, ”he said. He added that no one from Jay and Beyonce's camps hit him for permission to use it either. Thankfully the artist is taking this all very cool and not going to Take legal actions against the Carters – He's just happy to get the publicity anyway, but admits that doesn't pay the bills though. Check out his chat with TMZ (below).